Tick-tock goes the Intel PC processor clock. "Tick-Tock", of course, is Intel's slightly poncey parlance for a strategy of introducing new chip production technology and CPU architectures on alternate years. This time around, Intel is treating us to a 'tick'. That means a shrink from 45nm to even tinier 32nm transistors, rather than a radical new CPU architecture. In other words, Intel's new Core i3 500 series and Core i5 600 series processors, launched today, are derived from the existing Nehalem processor design. They're not all-new chips. At least, the traditional CPU part of this new 32nm family of processors, known internally at Intel as Westmere, isn't new. What is novel is the shoehorning of graphics rendering hardware into the processor package. 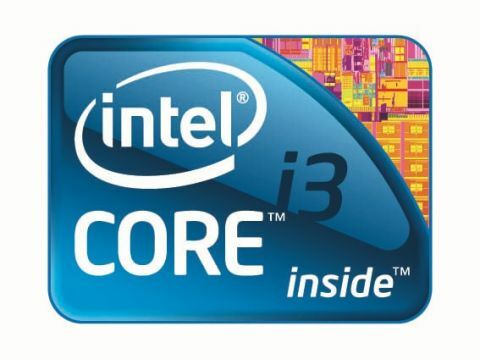 That's right, these Core i3 and Core i5 chips are the first examples of the coming era of CPU-GPU fusion chips from both Intel and its main rival in the PC processor business, AMD. Intel is also launching a mobile version of this all-in-one processor design for laptops. You can read our full, exclusive review of that very soon.